A floating exchange rate occurs when governments allow the exchange rate to be determined by market forces and there is no attempt to influence the exchange rate. 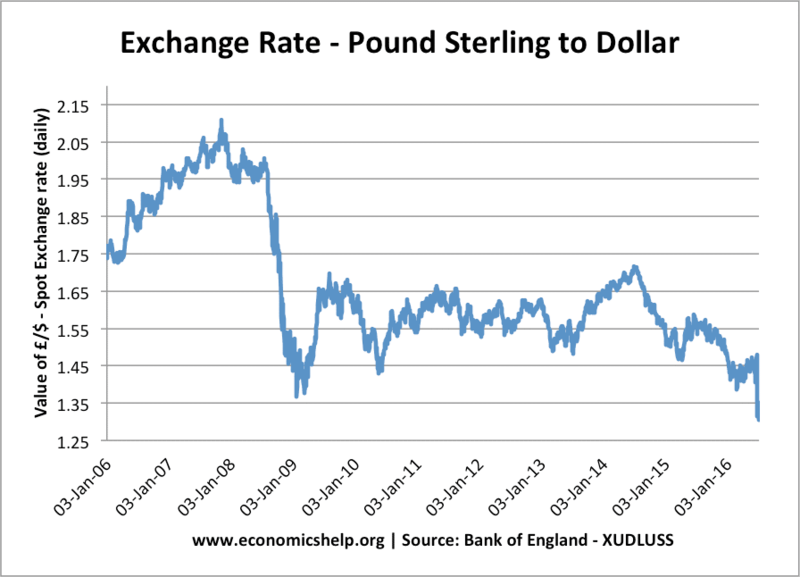 A floating exchange rate contrasts with a fixed exchange rate. A situation where the government try to keep the exchange rate within a certain target against other currencies. For a short time 1990 -Sep 1992, the UK was in the Exchange Rate Mechanism (a semi-fixed exchange rate) The government tried to protect the value of the Pound through raising interest rates and buying Sterling on the foreign exchange markets. But, in 1992, they felt the ERM was causing more harm than benefit, so they left and returned to a floating exchange rate system. Sometimes, countries are not in an official exchange rate mechanism, but they still do pay attention to the value of the exchange rate. Though they have no published target for the exchange rate, they may intervene under certain circumstances. For example, if the exchange rate deteriorated rapidly, they may increase interest rates to keep the value stronger. 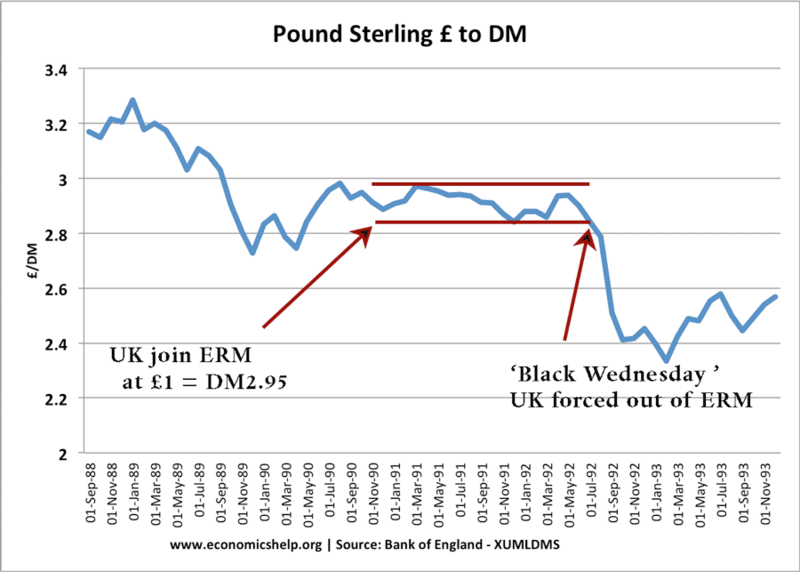 For example, in the late 1980s, the UK had a policy of ‘shadowing D-Mark’ as a precursor to joining the ERM.